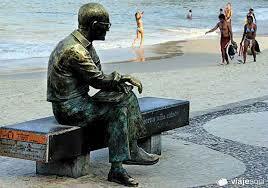 There are said to be around 680 artistic monuments spread around Rio, mostly statues, but also fountains, monuments and modern sculptures, like the realistic sculpture of Carlos Drummond de Andrade, sitting on a bench on the seafront at Copacabana beach. Praça do Joquei, as it faces the main buildings of the Jockey Club. 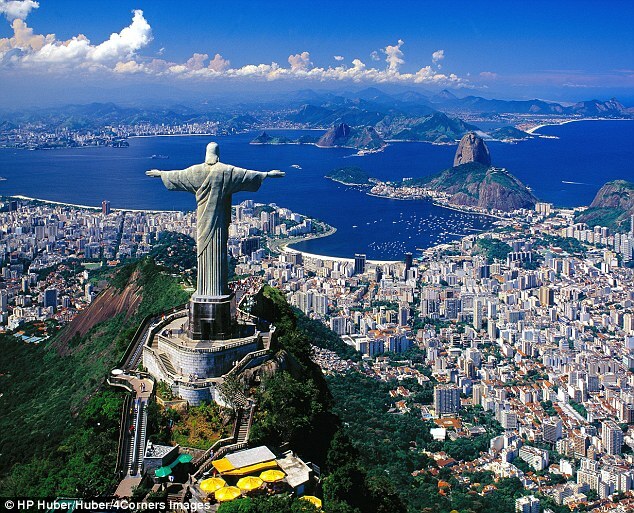 The biggest and greatest and most famous statue is of course that of Christ the Redeemer, standing on top of the Corcovado mountain with his arms open in welcome. 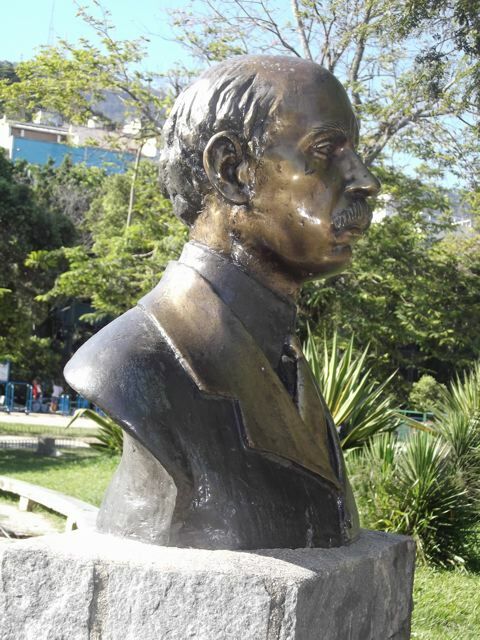 People still climb up to the statue on foot, but the most pleasant way to go is on the rack-and-pinion train, which climbs up through the Tijuca forest. Some years back escalators and lifts were installed to help visitors up the last part of the climb, which before meant climbing up 220 steps. The surface of the statue is finished in a mosaic of triangular pieces of soapstone, and for the last restoration 60,000 pieces were used, all from the same original quarry. The illumination changes color depending on what is being celebrated at the time.